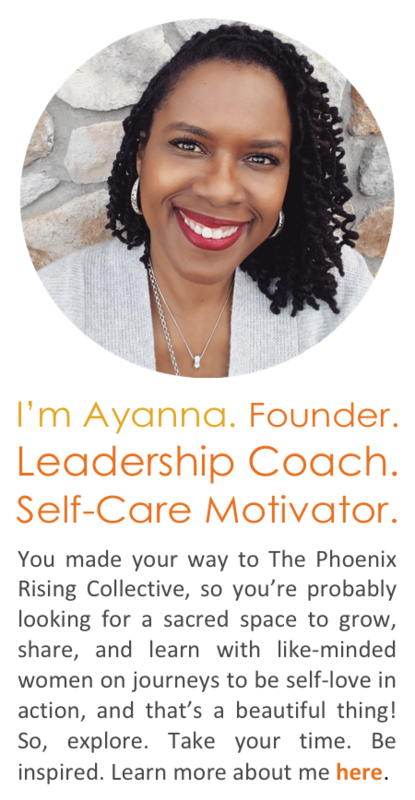 As I pondered my self-love routine, so I could write something enlightening about my journey of self-discovery and how it’s manifested in productive, healthy routines that nurture me, I had a disturbing revelation: I have nothing to contribute here. I don’t do self-love. I don’t meditate. My prayer life is spotty. I eat crap. I don’t write regularly. I don’t get lost in books. I rarely exercise. I don’t get my hair and nails done. I’ve had like three massages in my life, and I judge myself harshly. I racked my brain; I really did. As I read others’ entries about difficult but beautiful journeys to self-love, I thought, I know…I’ll spin it. I will take some moment of joy in my life and spin it into my self-love story. I can do that. I’ll sit down and ala “And to Think that I Saw It on Mulberry Street” I’ll exaggerate a story so fantastic that I will seem like the most self-aware, evolved, self-loving human on earth. I will spin a tale of complete, balanced self-love, and if I was really careful, I might even believe my tale enough not to feel so harried and distracted and self-negligent. And then, I realized, that if I say, there are things that I need to do in the name of self-love, but I don’t do them in the name of “getting things done” that I may turn a corner. If I stop pretending to be content and start seeking peace, and if I decide that today, not tomorrow, I will ignore the messy bathroom and write down what I need to do to nurture myself, I may just get there. This is my hurdle. I don’t do self-love. I do self-judgment. I haven’t come to grips with the fact that what I “should” do and what I need to do and what I want to do are, on occasion, the same thing. That to sit with a cup of tea for 30 minutes everyday and read something that I enjoy, not because it’s about parenting or losing weight or some non-profit, but because I love to read and reading feeds my soul is something I should and need and want to do. That to quietly meditate for 10 minutes everyday just to be quiet and listen to God, is revolutionary in my life. After all this consideration, I discovered something important. If I spent time loving myself dearly, I would not be able to judge myself harshly. So, I will love myself dearly, fully, happily. And one year from now, I will revisit my self-love journey and I’ll actually have something to contribute. Thank you, Tracey, for your honesty; it is most definitely a powerful contribution. We look forward to one year from now. You are a brave Phoenix rising. How many of you can relate to Tracey’s story? What commitment will you make (even a small act) to be self-love in action? Share in the comments. Want to share your self-love story! Send an email HERE. Put “My LYFF Story” in the subject line, and you’ll be contacted by the Phoenix Team with details on how to participate. Love Yourself First! 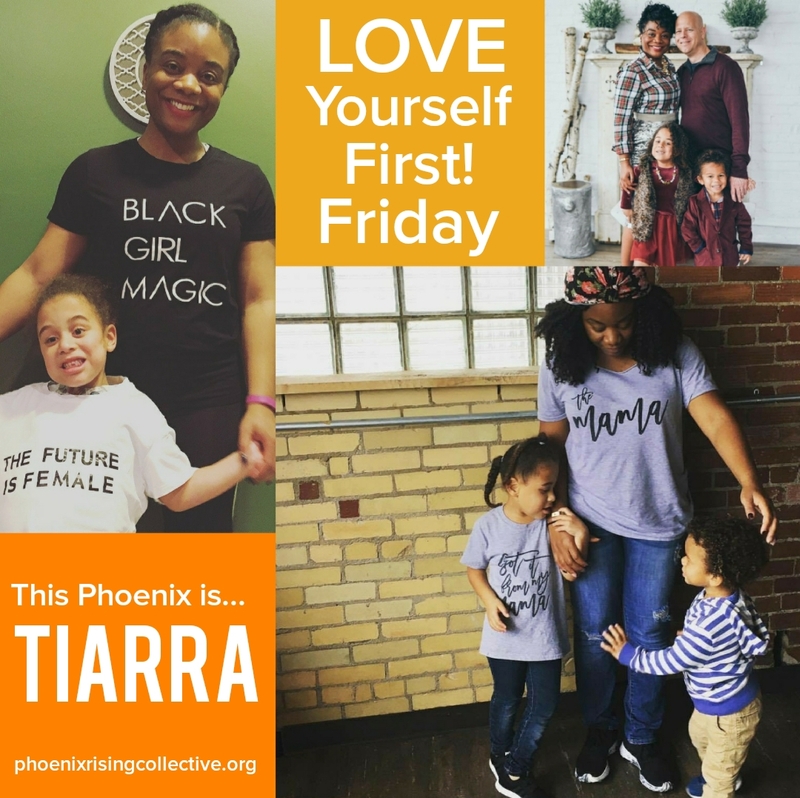 Friday is a series created by The Phoenix Rising Collective. Phenomenal women who fiercely demonstrate self-love in action in order to build and sustain healthy, positive ‪self esteem share their stories‬. Be sure to read some of our other inspiring features. Categories: Love Yourself First! 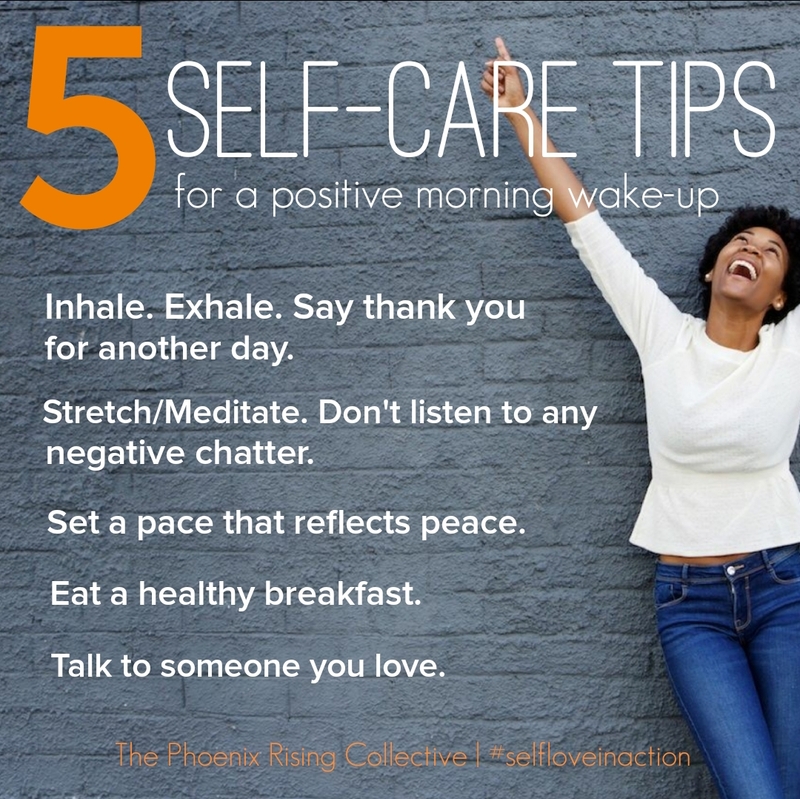 Friday | Tags: personal growth, self actualization, self-acceptance, self-care, self-care rituals, self-esteem, self-love, the phoenix rising collective, wellness, women's wellness | Permalink. Fantastic! Courageous to reflect on the truth. I felt that I am going through the same exact emotions of self love and affirmations. Thank you so much for opening your heart and mind. I appreciate your honesty. Thank you for this …it helped me. Your honesty was the key. I really appreciated this. read the Phoenix rising collection for some time and I don’t know how it got into my stream but i glad it did. It helps me mirror what is happening inside of me. I isolate a lot and I don’t really have many friends. which makes me odd. so the voices in my head can seem loud sometimes and very condemning. I read the Bible a lot. that is my only guide but i find that when i engage with the women on this page, it really is helpful therapeutic I experience revelations of strength that I had never known before. it truly is a healing place. Thank you for sharing your true heart. i needed that otherwise I’m a hypocrite. and you still were able to express the fact that you basically are a sloth or at least have sloth like tendencies, like I am. At least when it comes to self-love. Please don’t take offense to that. No judgments here. I meant it in the up most affectionate way. Just when i thought I was the only one. If I’m out of order then please rebuke me and I will receive it in love. Amen.